Update: As noted on The Verge, this feature is now in standard Chrome for Android. Thanks Nelson for the pointer. With the release of Chrome Beta, Android now has full-fledged HTML5 audio support akin to that of iOS, BlackBerry, and other operating systems. The new behaviour ensures that MP3s will continue to play even when the user switches tabs, switches apps, or turns off the screen. Third-party browsers might also have done this already, but Chrome is supported on Ice Cream Sandwich (Android 4.0) and for Jellybean (Android 4.1 and 4.2), it’s become the standard browser; also, it’s worth noting that Android browser is also slow and buggy. Chrome is the future of Android HTML5 audio. If you’ve ever tried walking and listening to music or podcasts on your phone, you’ll pretty quickly realise you can’t do it with the phone screen on. Your pocket will quickly conspire to switch the application, hit the home button, or send a gibberish SMS to your boss. So a web app that plays MP3s was simply not possible. There’s no way a music or podcast app, running a browser, can compete with a native app if the user needs to keep the browser app active, the current tab active, and the screen on. There were many months of silence, during which time I tried to raise the issue through various channels. The first posting from a member of the Chrome team, some five months later, mentioned inability to raise notifications being a deal-breaker for another app (in fairness, it had been a deal-breaker all along to various MP3-playing apps like Grooveshark and Player FM). The bug was swiftly fixed after being raised by an insider, but it looked like there would be several months wait for it to filter into the official release on Google Play. But wait no more! A surprise was in store and the timing worked well. 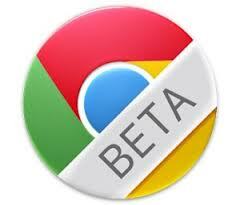 Today, Chrome has made the savvy, developer-friendly, move of launching a separate Chrome Beta app. Like the desktop beta channel, it gives developers and early adopters early access to the latest features, and I’m pleased to see the audio bugfix is present from Day 1 of the Beta release. Hopefully, it will enter actual Chrome in a month or two. Download Chrome Beta from Google Play and experience HTML5 audio as it should be. You can hit up Player FM, turn the screen off, and play from your pocket. None of this says a native app isn’t important for podcasts – it still has benefits like offline support – but web audio definitely just got a whole lot better for Android users.